People ask me all the time to refer them to quality trainers. I think ultimately, the best trainer is YOU! That's why all sales are final. I recommend the following FREE training course that you can implement with you four legged family member. I also recommend Petsmart Training Courses using an AKC accredited trainer. Please see the bottom of this page for a sample of the content. Disciplined & Happy Pet Rottweiler? Introducing Hands-off Rottweiler Training Secrets and Information With Fast, Effective Results That Save Hours Of Your Time Every Week!! 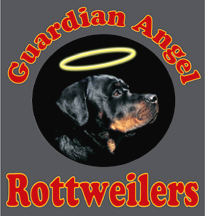 Want To Learn the A To Z of Rottweiler Training and Care? It's essential for Rottweiler parents like you to know certain basic factors that determine your relationship with your Rottweiler and can go a long way in training him effectively. Before you begin training your Rottweiler, it is absolutely essential that you build a loving bond with him. This is important as it helps you to understand his needs and instincts and also allows your Rottweiler to have complete trust in you. Building a bond with your Rottweiler is the first and the most crucial step involved in training him successfully. As soon as you bring your Rottweiler home, you must first try to develop a caring and loving relationship with him in order to win his trust and confidence. When Rottweilers are secure in the knowledge that they belong to the family, they are more likely to respond better to their owners' training commands. Just like with any relationship, there must be mutual trust and respect between you and your Rottweiler. Without enforceable limitations, respect can’t be developed. And when there is no respect, building a bond with your Rottweiler is almost impossible. Building a bond with your Rottweiler will not only help you manage him better but will also make your Rottweiler calm, quiet and an extremely well-adjusted pet. Once you're succesful in building a bond with your Rottweiler, you can rest assured that training him and teaching him new and clever tricks will be a cakewalk. Learn how to bond with your Rottweiler with this free mini course. The Teaching Phase - This is the phase where you must physically demonstrate to your Rottweiler exactly what you want him to do. The Practicing Phase - Practice makes Perfect. Once a lesson is learnt, practice with your Rottweiler what you have just taught him. The Generalizing Phase - Here you must continue practicing with your Rottweiler in different locations and in an environment with a few distractions. You can take your Rottweiler out for a walk, or to a nearby park and command him to practice whatever you've taught him. The Testing Phase - Once you're sure that your Rottweiler has achieved almost 90% success....he responds correctly almost every time you give a command, you must start testing his accuracy in newer locations with a lot of distractions. The idea is to test your Rottweiler to see how he responds in an environment which is new to him. Set-up a situation where you are in control of the environment and your Rottweiler. In case your Rottweiler fails, re-examine the situation. Review and/or change your training. Then try testing again. Internalizing Phase - Finally, comes the extremely rewarding phase where your Rottweiler does everything he is taught to do even without your commands. Never scold your Rottweiler if he fails. It's not his fault. You have failed as a trainer! Appreciate and love your Rottweiler when he does it right! A little encouragement will work wonders for your Rottweiler. Rottweiler Training is easy when you do it right. Learn how to train your Rottweiler better with this free mini course.